The Mega Sensor Shield v.2 allows you to hook up the TinkerKit SENSORSand ACTUATORS directly to the Arduino Mega or Mega 2560 or Mega ADK, without the use of the breadboard. 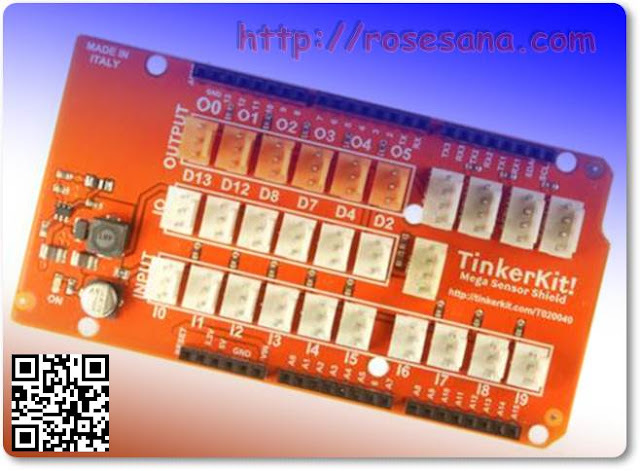 It has 22 standard TinkeKit 3pin connectors. The 10 labeled I0 through I9are Analog Inputs. The ones labeled O0 through O5 are Analog Outputsconnected to the PWM capable outputs of the Arduino Board (it is possible to change these to Digital Inputs, in which case they will report either HIGH or LOW, but nothing in between). Pin 11 on the Arduino Mega is O0 on the shield. Pin 10 on the Arduino Mega is O1 on the shield. Pin 9 on the Arduino Mega is O2 on the shield. Pin 6 on the Arduino Mega is O3 on the shield. Pin 5 on the Arduino Mega is O4 on the shield. Pin 3 on the Arduino Mega is O5 on the shield. The one labeled IO (D13, D12, D8, D7, D4, D2) are Input / Output pins capable of PWM, digitalRead and digitalWrite. They correspond to Digital 13, 12, 8, 7, 4, 2. 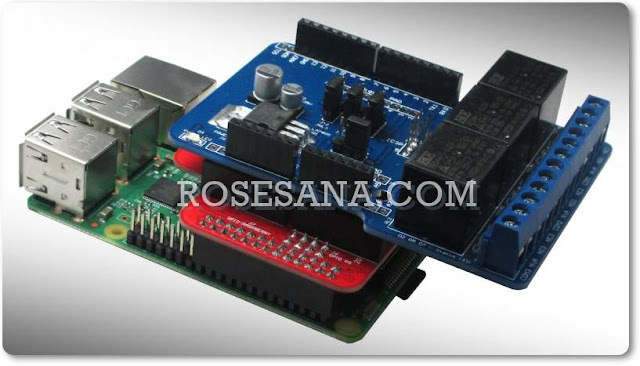 Module description: A green LED signals that the shield is correctly powered. The 4pin TWI socket allows communication to any device supporting the I2C protocol through the Wire library on Arduino. 5V and Ground are provided on the socket. 4 4pin SERIAL socket allows the board to communicate with other devices that support serial communication. 5V and Ground are provided on the socket for your convenience.